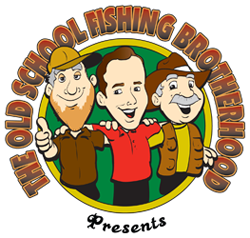 If you like catching crappie, catfish, bass, walleye, or any saltwater species, you're in the right place. I spend my days finding, contacting, and hiring fishing experts of all shapes 'n' sizes to send along their best fishing tips and tricks. Many of these are posted to OldSchoolFishingSecrets.com for all to enjoy... free. You're also invited to sign up for one of our Friday Fishin' Newsletter Publications. These online newsletters focus on a specific species of fish, and the best practices for catching them. So, minnows are the best all-around crappie bait, year round. But there are situations where jigs will perform better, and give you a serious advantage. 1. Jigs with feathers or bucktail attached. 2. Jigs with plastic bodies attached to the hook. 3. Jigs that are placed inside plastic bodies. 4. Horse-Head jigs w/ spinners. So, in that first category, is the simple Marabou jig. One of the most effective, long-lived jigs ever made for crappie. Read more about crappie fishing jigs here. Read more about catching flathead catfish here. Read more about our bass fishing tips here. Read more about our striped bass fishing tips here. Trolling is a key technique for finding the fish. In fact, I always recommend that people start off trolling, especially in spots they are unfamiliar with. 1. Use Rod Holders - spend a little extra on these because they are so critical. I recommend rod holders that are permanently attached to a boat...no the cheap "velcro" style holders. Make sure are setup in a pattern that prevents tangling ofo your lines - as you will be trolling multiple lines from multiple rods obviously. I recommend 2 rod holders at the front of the boat just behind the prow where the boat width is thickest on most models. Then at least 2 more on the rear section on either side of the motor. Read more about how to troll for walleyes here.